Kangertech Genitank Mega Cartomizer with New Airflow Control Valve - 3.8ml, the newest clearomizer/cartomizer e-cigarette with pure taste and new design.Buy from HG with cheap price! Kangertech Genitank Mega Cartomizer with New Airflow Control Valve- 3.8ml, is the newest clearomizer/cartomizer e-cigarette with pure taste and new design. Get it with cheap price from HG! • All parts,removable and changenable. • To decrease airflow, pls rotate the bottom ring clockwise. • Turn upside down the cartomizer, then screw off the bottom base. • Use the syringe or dropper to fill less than 3.8ml e-liquid. Do not overfill it. • Carefully screw on the connector, connect it with the battery and enjoy it. • First, turn upside down the cartomizer and screw off the bottom base. • Second, disconnect the old coil unit from the bottom base, replace with a new one. • Last, screw the base back to the tube tightly. • It comes with ego/510 thread, fit all ego/510 thread batteries. Preso appositamente per aver una buona regolazione del tiro , purtroppo col primo aperto va bene e molto contrastato mentre se provo ad aprire secondo ed il terzo per avere un pò meno contrasto , aspirando fà un fastidioso rumore in sordina , poi con il 4 e 5 ariosissimo ma nessun rumore . Nel complesso appena sufficiente anche perchè la resa aromatica lascia un pò a desiderare .......ovviamente più si apre l'aria più aumenta la fumosità ed avendo il JustFog g14 posso dire che , anche se quest'ultimo non ha la regolazione dell' aria è molto più performante . Kangertech Genitank Mega Atomizer with New Airflow Control Valve with a 3.8ml capacities, the newest clearomizer/cartomizer e-cigarette with pure taste and new design. It can work with 5pc KangerTech Upgraded Dual Coil Unit. thank you for fast delivery. the product looks good a works well. The next order goes to you again. Kangertech Genitank Mega Atomizer is an original atomizer made of metal with a 3.8ml capcity. Kangertech Genitank Mega Atomizer is one of the newest cartomizer for e-cigarette with pure taste and new design. It can work with 5pc KangerTech Upgraded Dual Coil Unit. With a 3.8ml capacity. finally a tank that works as it should, takes plenty of oil and has a comfortable mouth piece. It is the only one I have bought so far that is comparable with all 2 of my batteries and does what it says on the product information, A lot bulkier and heavier than my TECC but I really love this one and its so easy to adjust the air flow depending on how you feel. Kangertech Genitank Mega Atomizer is one of the newest cartomizer e-cigarette with pure taste and new design. It can work with 5pc KangerTech Upgraded Dual Coil Unit. With a 3.8ml capacity. 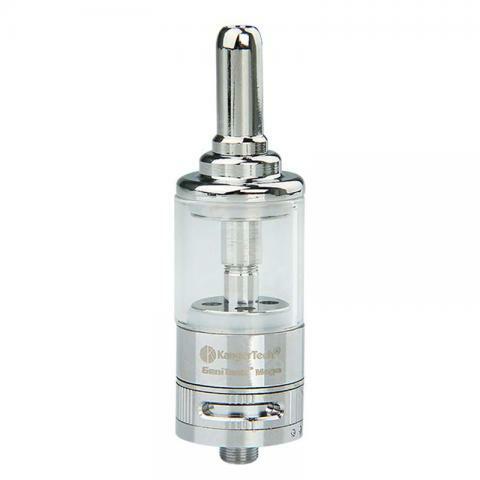 Kangertech Genitank Mega Atomizer is a mega atomizer with a 3.8ml capacity. It made from maetal with a pyrex tube. It has a good air flow control function. It is very healthy and last long withal of its part removable and replaceable. High quality product and good Absolutly genius tank!! Awesome!! Kangertech Genitank Atomizer is the newest mega clearomizer/cartomizer e-cigarette with pure taste and new design. It can work with 5pc KangerTech Upgraded Dual Coil Unit. With a 3.8ml capacity. Kangertech Genitank Mega Atomizer is one of the newest clearomizer and cartomizer e-cigarette with pure taste and new design. It can work with 5pc KangerTech Upgraded Dual Coil Unit. With a 3.8ml capacity. Kangertech Genitank Mega Atomizers is the newest clearomizer/cartomizer e-cigarette with pure taste and new design. It can work with 5pc KangerTech Upgraded Dual Coil Unit. With a 3.8ml capacity. Kangertech Genitank Mega Atomizers is one of the newest clearomizer/cartomizer e-cigarette with pure taste and new design. With a 3.8ml capacity. Kangertech Genitank Mega Atomizer is the newest clearomizer/cartomizer e-cigarette with pure taste and new design. It can work with 5pc KangerTech Upgraded Dual Coil Unit. With a 3.8ml capacity.